Tonight’s two-hour premiere of American Idol Season 11 will showcase the discovered talent in Savannah, Georgia. Two hours for one city seems a little extreme. Has it always been this way? Who can remember from year to year? Not me. So the two-hour showcase allotted to the Savannah singers must be indicative of the stellar level of talent at these auditions. Or, we may be treated to some tedious filler and back stories but then it wouldn’t be American Idol without it, correct? Whatever the case, enjoy the resonating sound of Ryan Seacrest’s singular voice during the narration because, depending on what happens with his contract negotiations, this may be his last season. And that would be a shame. No one can take his place. He makes it look so easy. He is unflappable, intelligent, accommodating, genuine – just a regular guy with a heap of ambition and talent. And please add your comments and thoughts in the comments section of this blog topic. I was genuinely pleased last night to be watching Idol again. Of course, they showed some people with no talent, but there were a few shining moments–to name one–Philip Phillips. I’m keeping my fingers crossed that this year will provide us with a lot of entertainment. Two hours does seem a little long but I recall last season saying the same thing. Hopeful that this year brings exciting talent with more seasoned opinions from judges. The loss of Ryan Seacrest at the end of this season woud change many viewers support for the show. He is one of the reasons I continue to tune in! I was impressed with a couple of contestants from Savannah, namely Philip Phillips and Amy Brumfield. A couple of the young ones were good. Overall, not too bad. Of course, no matter what, they will never measure up to season 7. It was a great way to start the season! 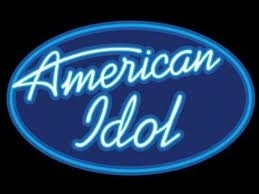 I am so happy Idol has returned! I liked Colton, Lauren Meek, and Gabi (the dancer)!. Always nice to see Ryan returning! I was cheered by the show! Agree KariAnn and PandasMama! It was terrific start to a promising season. The positive vibes are very contagious and so necessary.